I like this very much. Well written, Linda and perfect for that lovely pictures. OMG we don't this much color yet, just a few leaves of red, orange and some yellow! Sara, there are a number of bare trees, trees with color and some still have a lot of green, albeit faded green. 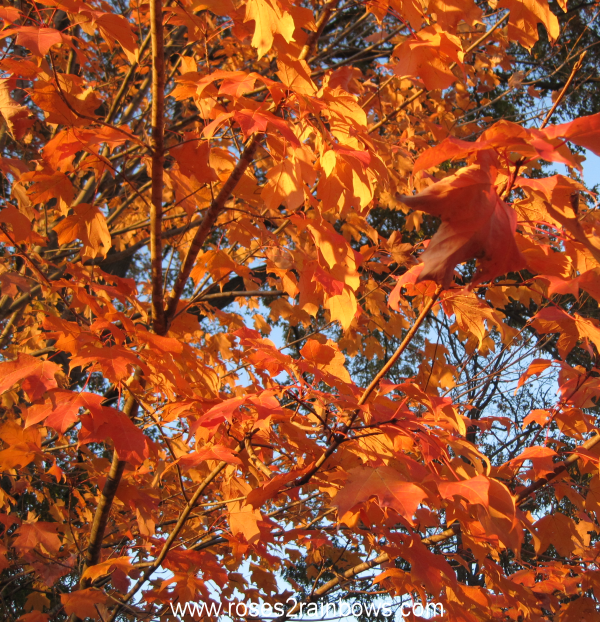 They did look like trees afire...Nature getting wild & crazy with her color palette. Stunning, Linda - both image and poetry! Thank you, that's very sweet.